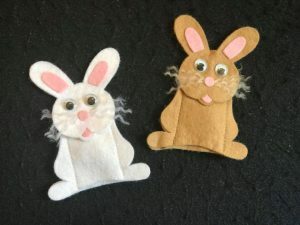 WE read some great stories about bunnies and other animals that HOP during our preschool storytime. 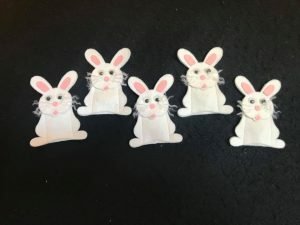 We even pulled some magic rabbits out of a hat! Here are the books, songs, flannel stories. action rhymes and video we shared. 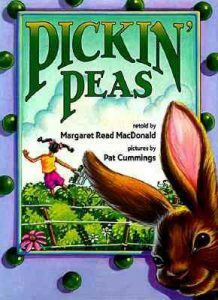 In Pickin’ Peas by Margaret Read MacDonald, a little girl begins harvesting the peas she planted in early spring. But there is one BIG problem! She notices a pesky rabbit following her. 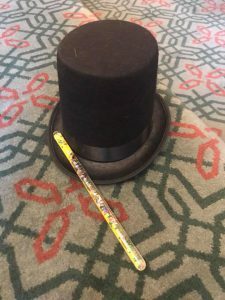 What is he up to? Why he is picking her peas and EATING THEM! The little girl is so upset that she grabs him, takes him home and puts him in a box until pea picking season is over. He’s a clever little rabbit though and he manages to trick her into letting him out of the box to dance and sing for her. She loves his singing and dancing so much that he is out of the box long enough to jump out the window. 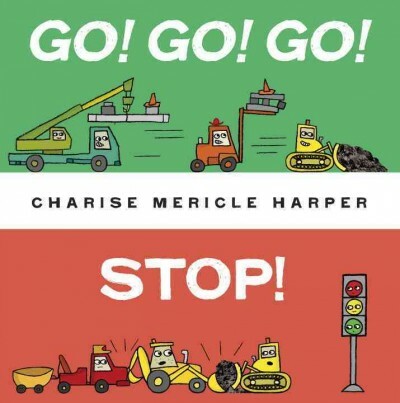 A story with humor, action and wonderful illustrations. 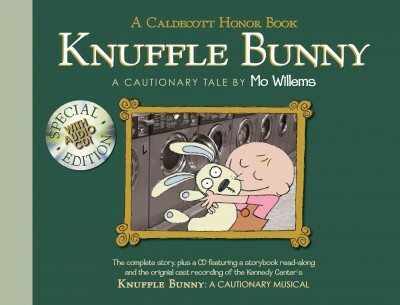 A perfect read aloud for preschoolers. Who Hops? 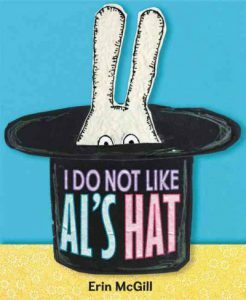 by Katie Davis is a funny book that involves a bit of guessing. 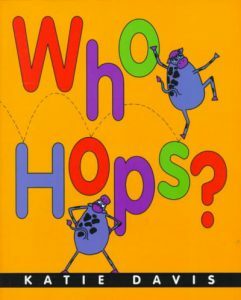 The book begins by asking the question “Who hops?” – a frog hops, a kangaroo hops…a COW hops… Wait a minute! A COW??? A cow doesn’t hop! The book continues in this fashion (who slithers? who swims? who crawls?) Finally we get to the question which asks: Who hops, crawls, slithers and swims? – YOU DO! 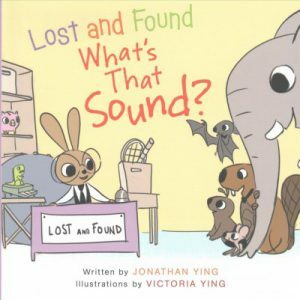 Fun and informative – a book that definitely appeals to preschoolers. 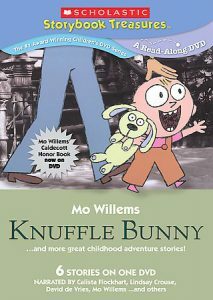 We watched “Knuffle Bunny” based on the book Knuffle Bunny by Mo Willems. 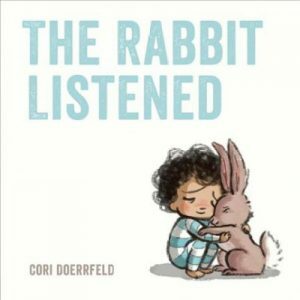 If you want to read more books about rabbits, check these out at your local Pasadena Public Library.